Christmas is almost here! 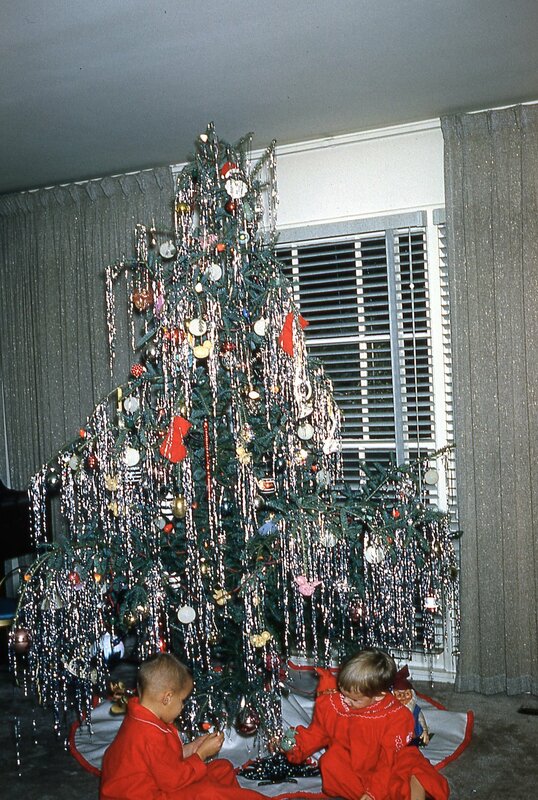 I found this festive image in a set of about 200 Kodachrome photo slides from eBay. They were well organized and labeled. 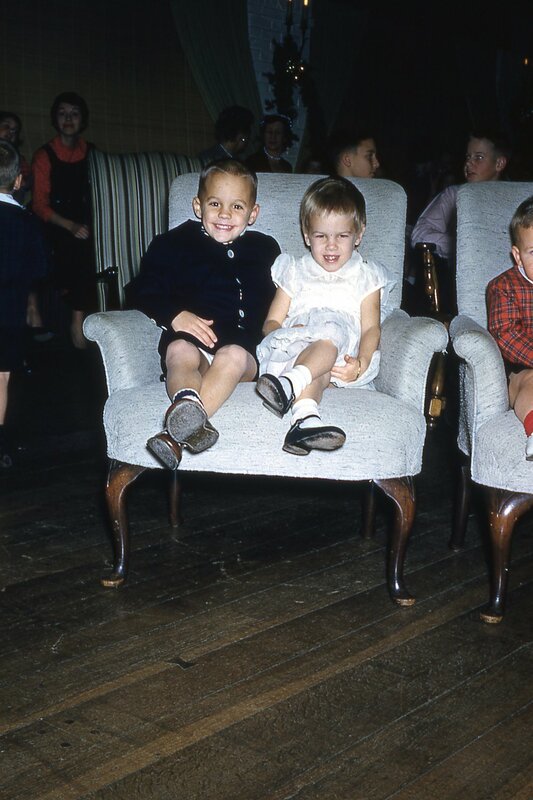 All appeared to be from 1956 and 1957 and the same family was depicted in most of them. 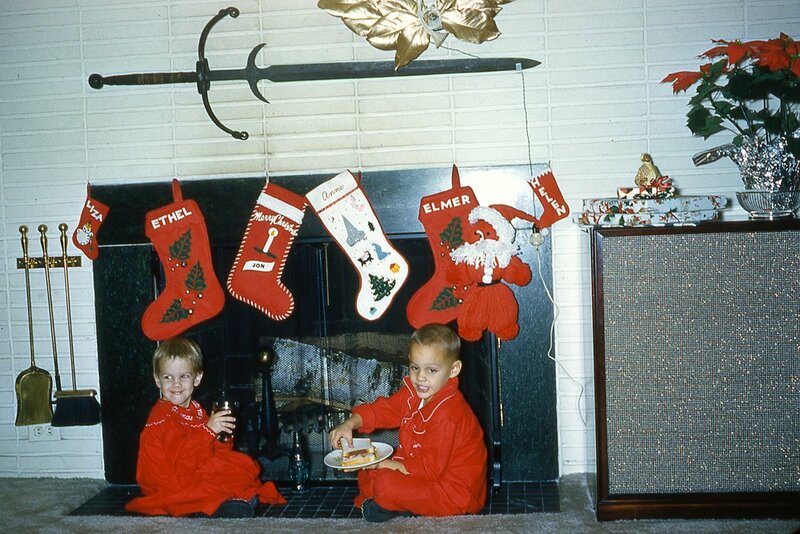 The stockings hung by the chimney with care (see below) suggest that this family included: Liza, Ethel, Jon, Anne, Elmer, Helen. Here are some more from the same set. 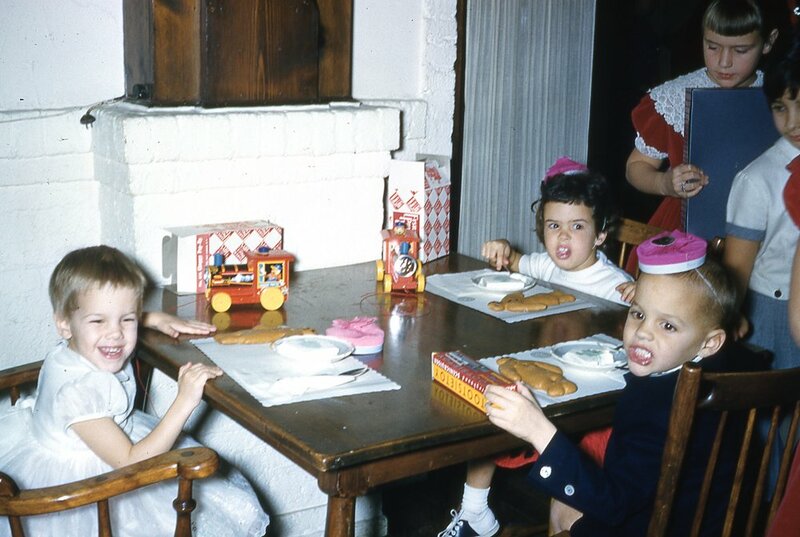 As you look through them think about the holiday celebrations in your own family in 1956. Waiting for Santa - "Liza, Ethel, Jon, Elmer, and Helen"
What toys can you identify under the tree? 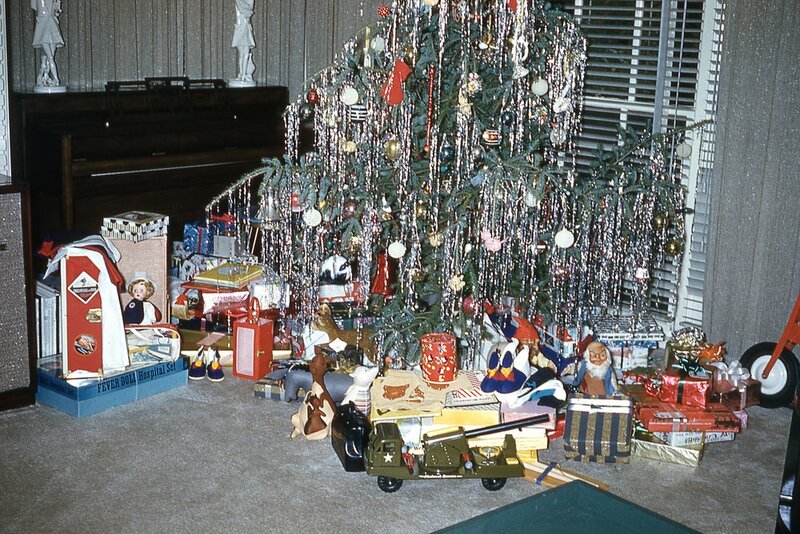 What were 1956 Christmases like in your family? 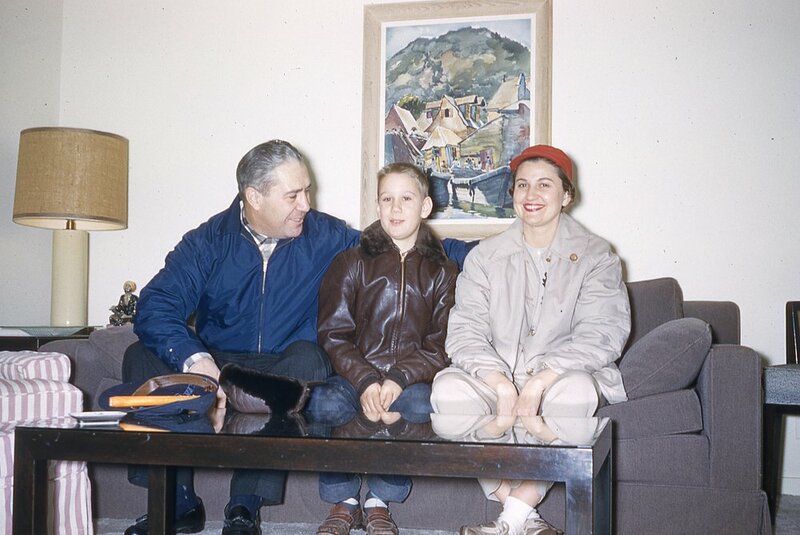 Who is this family and why did their beautiful photo slides end up on eBay? 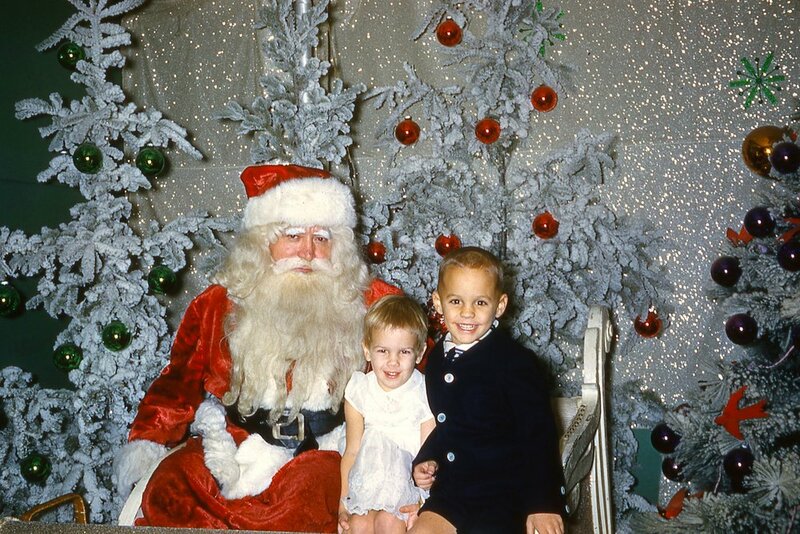 How has the celebration of Christmas changed in the last 6 decades since these photos were taken?